Time For A New, Energy Efficient Furnace? At Village we will do everything possible to make sure your new furnace installation is smooth and trouble free. We carry a complete line of energy efficient Lennox furnaces that feature advanced technology to deliver warm, cozy comfort and impressive energy savings. Will you get the right furnace for your home? Absolutely. 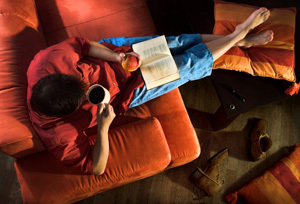 A Village Comfort Specialist will evaluate your home, your comfort preferences, we’ll even address issues like allergies and indoor air quality in determining which Lennox furnace perfectly matches your home and your lifestyle. Of course we provide you with a free estimate outlining all costs for your new, energy efficient heating system. Will my new system be installed correctly? We guarantee it. 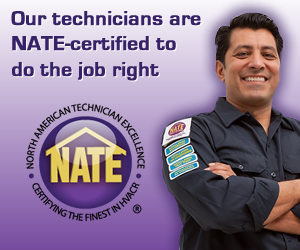 Our furnace installation techs are some of the most skilled and highly trained in the industry. Not only will you new system be installed to Lennox’s exacting specifications but we also install all units to our high standards. We guarantee the work, the equipment and your complete satisfaction 100%. Will there be a big mess? No. The installation team will arrive on time, use floor mats in your home and wear protective shoe covers. They’ll install your new furnace, haul away the old unit and thoroughly clean the entire work area. They’ll take time to explain the features of your new system and explain how the programmable thermostat works. If you ever have any questions . . . the right answers are just a phone call away.